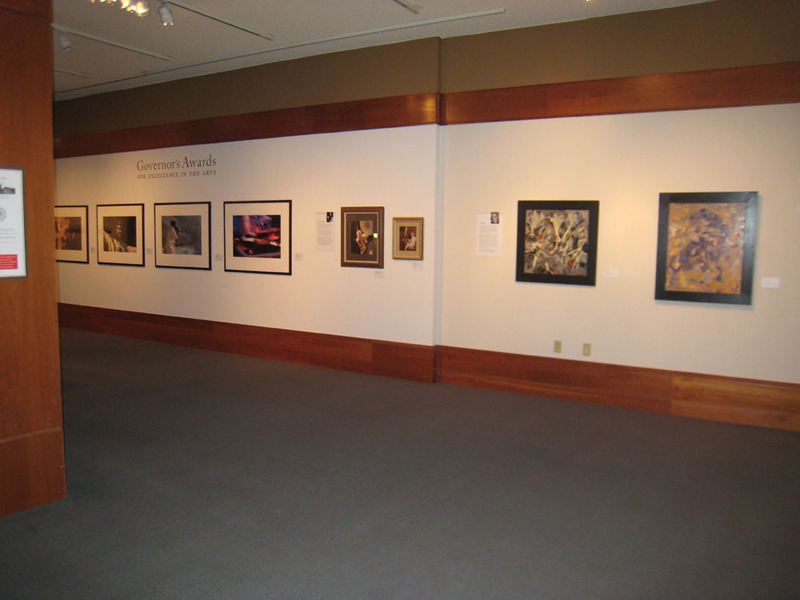 The Governor’s Gallery is a space for changing exhibitions located next to the Governor’s office in the New Mexico Capitol. It should not be confused with the Capitol collection which I wrote about some months ago. You will find that throughout the rest of the Round House, as the Capitol is called. The Governor’s Gallery has six exhibitions a year drawing about 3,000 visitors monthly. The exhibition schedule is varied and includes a mix of all media. There was one recently on a local collector and another about the WPA which had a major impact on the State. The current exhibition is the annual tribute to the winners of the Governor’s Award for Excellence in the arts. Here we find painters, photographers and contributors to the arts as well as performing artists such as Wes Studi the famed Native American film actor who brought a more realistic view of the Indian to the screen. “Dances with Wolves” is probably his most famous role. Then there is Robert Redford who received the award, not just for his acting and film making accomplishments but also for his work on behalf of young artists, Native American and Hispanic film makers, and his contribution to the preservation of the environment. The Gallery was started in 1975 by former first lady of New Mexico, Clara Apodaca, wife of Governor Jerry Apodaca. I don’t know about you but I can hear her coming in to his office saying, “Honey, the walls outside your office are so dreary why don’t you get some paintings from the museum and put them up”. Whatever the conversation was it ended up as a marvelous program administered by the New Mexico Art Museum. The person responsible for the art in the Gallery is hired, after a Nation wide search, by the Department of Cultural Affairs and the New Mexico Museum of Art. In 2006 Merry Scully was chosen for the job, she was uniquely qualified. She had majored in Studio Art and minored in Art history at Loyola Marymount University in Los Angeles and then went for an MFA to the University of New Mexico in Albuquerque pursuing Photography and Art History. It was also an opportunity to become acquainted with Santa Fe. Shortly after graduation from UNM Merry became Director of Exhibitions & Galleries at the San Francisco Art Institute. During her studies she had several interesting positions at galleries as well as teaching. 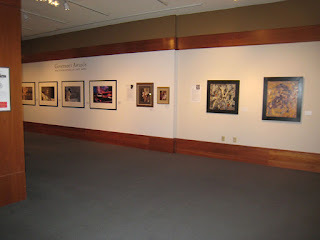 Her responsibilities as curator of the Governor’s Gallery include producing the six exhibitions a year for that space as well as responsibility for any art borrowed by the Governor and First Lady for the Governor’s Mansion, his offices, the Office of the Chief of Staff and the Cabinet Room. Merry has to coordinate the loans coming mainly from the four State Museums but sometimes also from galleries and private individuals. One of the many issues that she has to deal with is that the insurance policy of the Museum covers all art in public rooms but not in private quarters. This program has its political side as well. I am sure that Merry’s teaching experience comes in handy when there is a change in administration and she needs to assist the new Governor and spouse regarding what kind of art it is wise to show. No one can afford to slight one constituency or another. 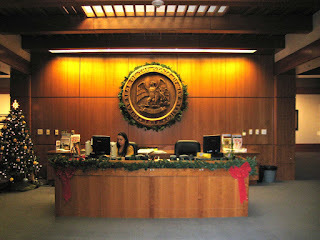 As an example you have large Native American and Hispanic communities throughout the State. 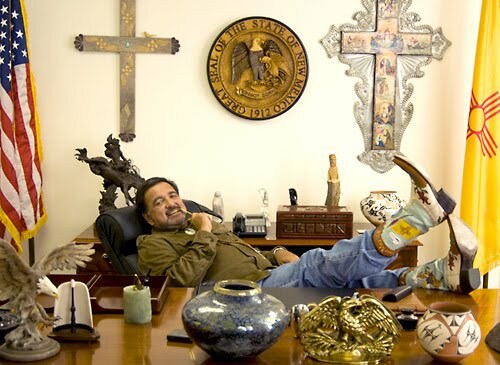 In New Mexico our Administration is about to change and the curator must first retrieve all the artwork borrowed by the last one and then find out what the incoming Governor, Suzanna Martinez, and the first spouse would like to live with. Take a look at the office of current Governor Bill Richardson. I am sure the taste of the next Governor will be quite different. The curator is also to assist the Governor with issues that may come up regarding the arts and guide him or her when he has visits from members of the local, national and international arts community. For this reason the curator of Governor’s Gallery who was hired by the Art Museum has offices in both the Capitol and the Museum. Near the end of our conversation Merry told me, “The Arts are core to our civic life. We had a museum system when the State was just a territory”.